Sweet Cakes DC: Big news! Happy International Pi Day! The Harry Potter birthday cake I made in 2010 is featured on the blog GeekCrafts.com, along with some other oh-so-nerdy sweets. Check it out! Sweet Cakes DC is honored to be in such company as NYC's Pink Cake Box, and WETV's Amazing Wedding Cakes' Christopher Garrens, two bakeries I very much admire. A good day for Sweet Cakes DC! I realize I haven't been posting much lately. That's because I haven't made a cake since December! I have been doing a lot of cupcakes and have experimented with many new recipes. 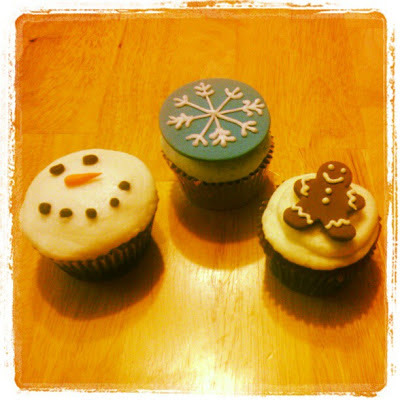 Here are pictures of some of the cupcakes I've made recently. 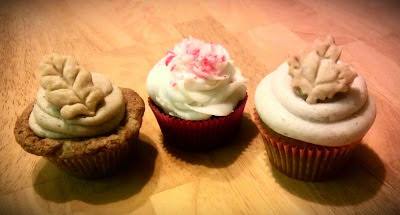 Thanksgiving Cupcakes (L to R): Apple pecan spice cake with a brown butter frosting, chocolate peppermint, and pumpkin cinnamon cream cheese. Holiday Party Cupcakes (L to R): chocolate orange, vanila almond, and gingerbread. 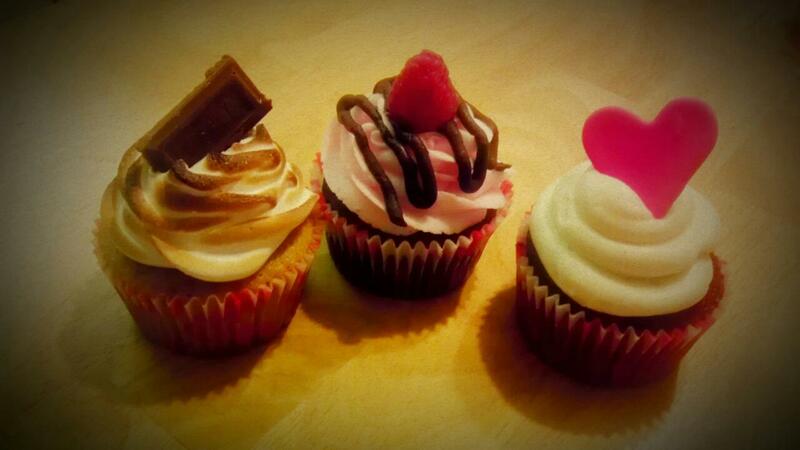 Valentine's Day Cupcakes (L to R): s'mores, chocolate raspberry, and red velvet. Rest assured, I will be doing some cakes in the near future. I have not given up on them, cupackes have been a great departure to tinker with some new recipes. This weekend, I'll be making a copycat of my wedding cake (in flavor only). Fluffy Thoughts bakery in McLean, Virginia, made my 2011 wedding cake. They introduced my husband and I to a mindblowing flavor combination that we've been craving ever since: My Passion - white cake with passion fruit curd filling and blackberry butter cream. It is to die for, and I hope my version turns at least somewhat as amazing as theirs.